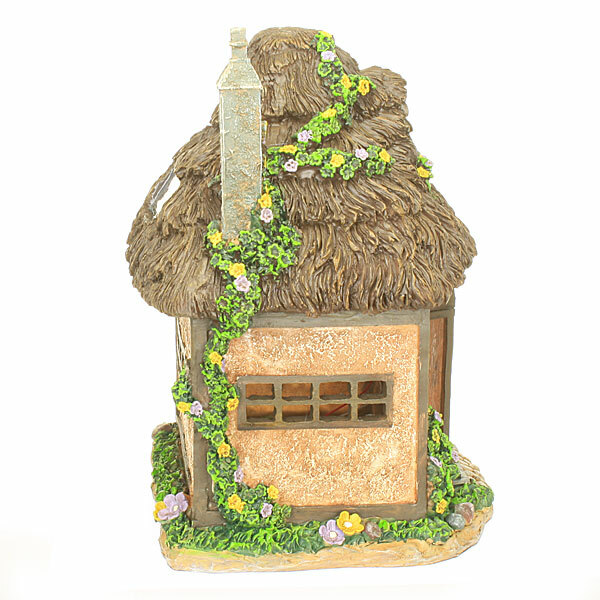 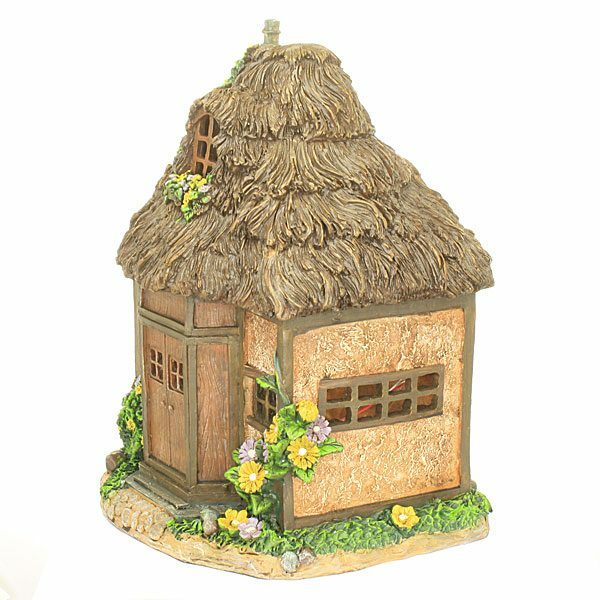 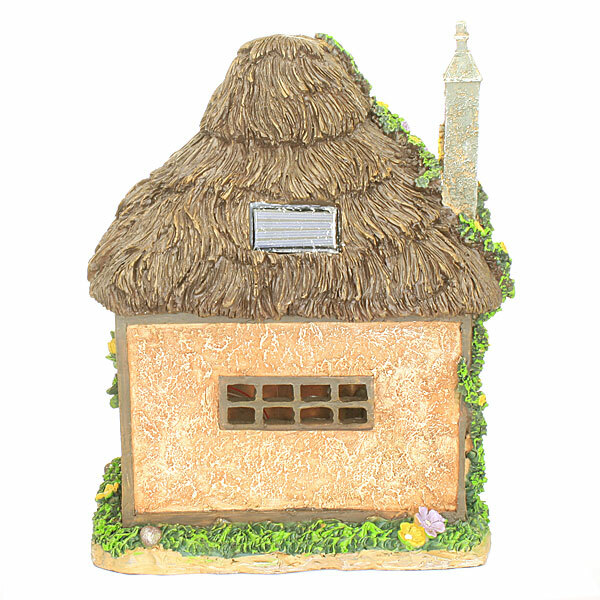 A large fairy cottage with thatched roof and creeping flowers around the door and roof. 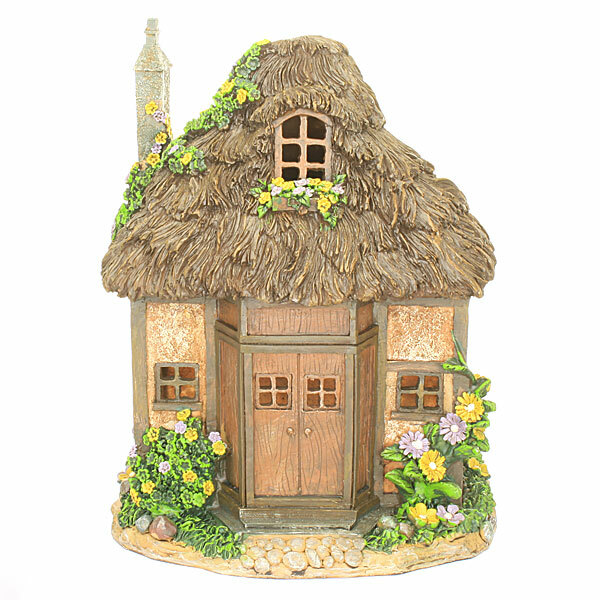 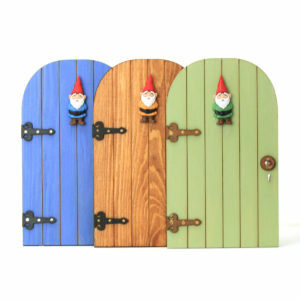 Has an interior solar powered light that shines through the many windows and door. Suitable for outdoor use. 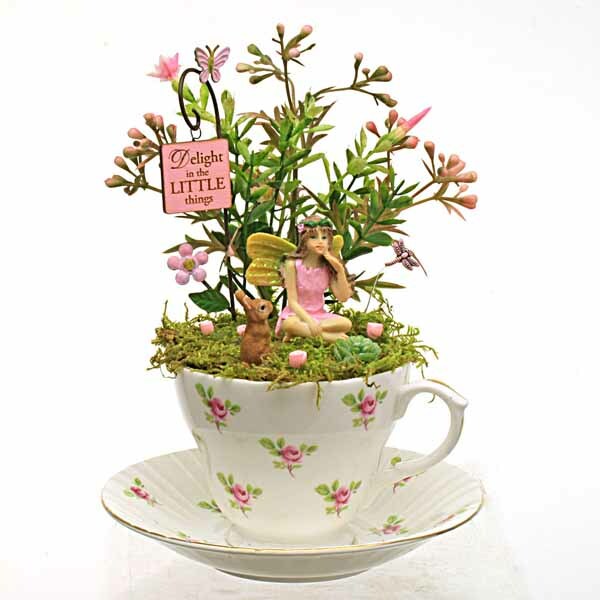 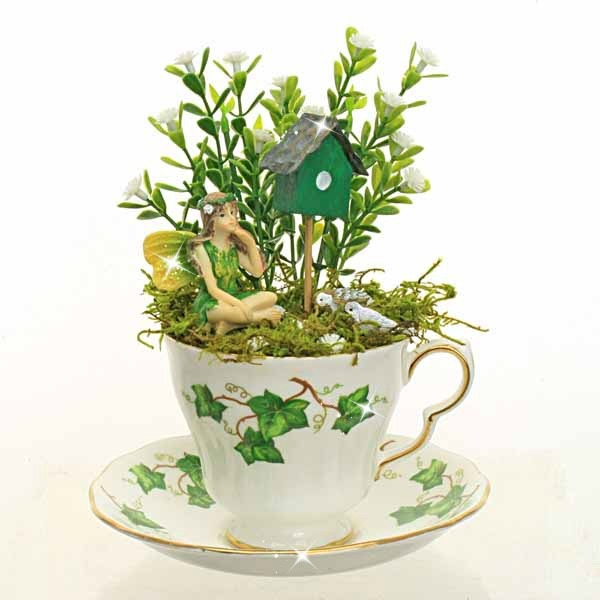 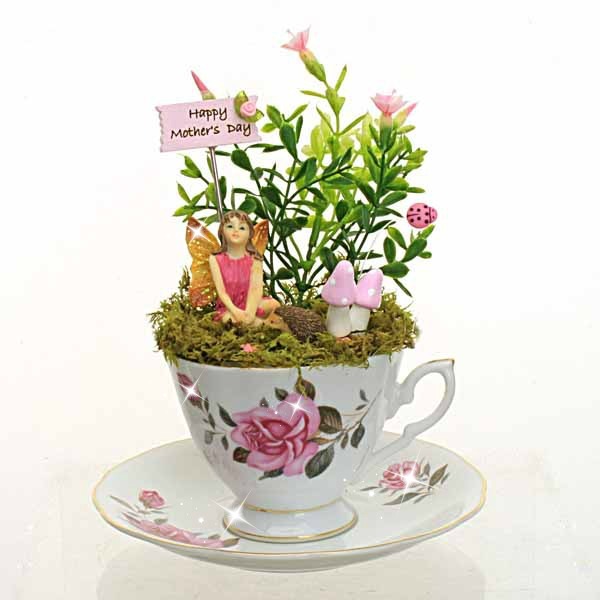 Fairy Garden House.